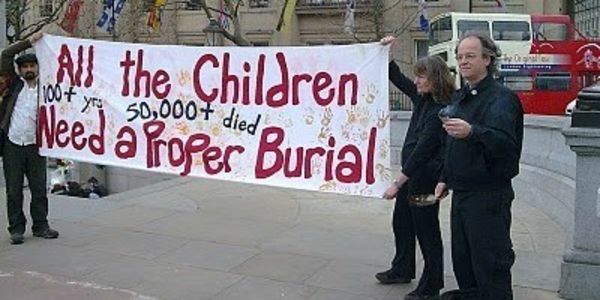 petition: Stop and Defund the Genocidal Churches of Canada! Stop and Defund the Genocidal Churches of Canada! Funding, associating with and swearing loyalty to the foreign Power known as the Vatican or Holy See, which has been criminally convicted in Public Tribunals of Conscience and Common Law courts as a Transnational Criminal Organization whose authority is nullified and whose revenues and assets can be lawfully seized under International Law (The United Nations Convention against Transnational Organized Crime, November 15, 2000). Through these and other actions and policies, being part of a global criminal conspiracy and constituting a real, present and ongoing threat and danger to all children in Canada. It is clear that the Churches are not only actively violating the statutory terms and conditions under which they are exempt from paying taxes in Canada but in so doing are systematically furthering criminal activity and treason in our Nation at the behest of a foreign Power. The Churches are doing so with the apparent compliance and collusion of the Department and Minister of National Revenue and the Canada Revenue Agency, who objectively can be considered to be accomplices in this Criminal Conspiracy. Further, this Conspiracy by Church and State is subverting domestic laws by forcing all tax paying Canadians to assist in the establishment of the criminal works of the Churches in Canada, including through the channeling of Canadian tax revenue to the financial arm of a foreign Power, namely the Vatican Bank, by means of secret "Financial Concordat" agreements, without the knowledge or consent of the public. That Canada Revenue and the Minister and Department of National Revenue discontinue their practice of aiding and abetting the Churches and their criminal activities, or face a Public Inquiry. BE ADVISED BY THIS PETITION AND PUBLIC NOTICE that any failure by your agencies to act upon this Petition and the Laws and Constitution of Canada will compel We the People to take direct action to non-violently prevent the revenue-collection operations of the Churches as Transnational Criminal Organizations, as we are compelled to do under domestic and International Law and by the dictates of our Reason and Conscience according to Necessity. Respectfully submitted and made public commencing on the Second Day of April in the year 2019. Copies of this Petition and Notice have been issued to the federal Justice Department, the RCMP and the Canadian Security Intelligence Service, Members of Parliament and the Senate, and the Prime Minister's Office.